Having a clearly identified and prepared escape route is one of the most important parts of any felling plan. Statistics show that a well-planned and utilized escape plan has a significant impact on your personal safety. Accident and fatality reports also reveal some useful information regarding workers injured when falling trees. People falling trees have learned over the years that the area directly on either side or directly behind the tree is very dangerous. This is because branches, tops and trunk sections often fall near the base of a falling tree. One type of falling mishap, know as a barber chair, is particularly dangerous. A barber chair occurs when a tree being felled delaminates vertically before the hinge is cut thin enough to bend. The term refers to the sliding action of the old style barber chair that positioned patrons in a head down, feet up position so the barber could more easily shave with the straight razor. In falling, a barber chair occurs when using conventional back-cuts where the hinge is formed by cutting the wood from the back of the tree towards the hinge. As the saw severs the more resilient sapwood fibres typically found in the outer rings of a tree, the more brittle heartwood must resist the bending load. In cases of heavy forward lean and in older trees, this can result in the hinge wood splitting upwards as the tree falls. When the tree top contacts the ground the section of tree that has split upwards crushes either the remaining wood column straight backwards or the split standing section tears and rolls off to either side. In either case, the best place to be is away and at an angle. Another compelling justification for the escape route is that while a tree is being cut, vibrations sent up through the entire tree can cause branches and tops to loosen. This vibration dislodges branches, where the sway from wind will not. As a tree begins to fall the force of gravity acting on it changes as well and a branch or dead top that is hung up for many years will suddenly dislodge during the first several seconds the tree is falling. These loosened limbs and tops fall generally within a few feet of the base. Trees that have dead tops or dead branches often referred to as widow makers for this very reason, because many a tree faller has been struck or killed. The 5-15-90 rule is a concept we can use to emphasize the importance of using an escape route. Review of where tree falling accidents and fatalities occurred revealed that 90% of all accidents and fatalities happen within the first 15 seconds of the tree falling and within 5 feet of the base of the felled tree. Therefore, if you identify, plan and use an escape route you can increase your chance of survival or escaping injury by 90% and that the best escape route is at an angle away from the falling tree. Many times obstacles or terrain influence the escape route plan, therefore it is not an exact science but rather the escape zone is at an angle diagonally away from the direction of fall, as illustrated in the diagram. Remember: Identify, Prepare and Use an Escape whenever you fall a tree. Both of the escape routes shown here are 135 degrees from the direction of fall. It is also 45 degrees from the opposite of the direction of fall. An important step of any falling plan (and one I believe that is often the most overlooked) is assessing the lean. In almost all cases whenever possible it is best to fell a tree in the direction it is naturally leaning. That is to say that if all of the strength of the wood fibres holding the tree up against gravity were to be severed or be instantly released then the tree would fall exactly where gravity is taking it. Therefore, if you can fell a tree in the direction of its natural lean gravity will ensure it falls that direction. In my last article, I touched on height measure and how, if you have determined how tall the tree is and accurately assess the lean, then there is little that can cause the tree to fall anywhere other than planned. Assessing lean is much more than the angle of the trunk. Other factors must be considered. I tell my students to consider the entire ‘bio-mass’ of the tree as this is what truly creates bendin gon the trunk. The ‘bio-mass’ is all of the parts of the tree combined – every branch and trunk. This is best assessed as part of your outer perimeter survey s described in the previous article. The bio-mass and lean is best assessed from a distance from the tree. In your mind’s eye, draw a line around the entire tree, being sure it touches the tips of every branch, start at the base of the trunk and then proceed left or right around the entire canopy or bio-mass of the tree. Once you have this visualized, split that shape in half (it usually is an oval or egg shape) and imagine a line plumb down the center. The distance this line is in relation to the notching area of the trunk tells you how much lean you are dealing with. This tree shows about 5 - 7 feet of lean. It is important to look at the tree from all sides and assess lean as you go because the lean will change from different viewing locations. Using this method the natural lean may be determined and the fell should proceed in that direction. If there are obstacles in the way of this natural lean, then other technical felling or rigging techniques are needed and worked into the plan. What I have just described is how to calculate ‘forward lean’. There is another aspect of lean that is also important to evaluate. Once the ‘forward lean’ is established, it is important to eliminate any side lean in relation to your direction of fall. Often side lean is not considered. The problem is when obstacles are in the way of the ‘natural-lean’, the faller must obviously choose to fell the tree away from the obstacle. In doing this – side lean becomes a factor. Side lean is lean that is perpendicular to the felling notch and hinge. This is important because wood is much weaker in the vertical plane than the horizontal (imagine trying to split a log by hitting along the side, yet when you hit it from an end, it splits relatively easily). Gravity acts on the hinge much the same way; as the tree falls it can cause the hinge to break prematurely, sending the tree once again in the direction of the ‘natural lean’. Therefore, once natural forward lean is determined, be sure that there is no side lean acting on your hinge 90 degrees to your direction of fall. 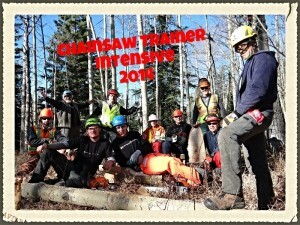 Mastering how to perform a lean assessment will ensure all of your trees fall exactly where you want them to. By using the outer and inner perimeter survey and height measure you can predict accurately and confidently where the top of the tree will land. There are more factors to consider in your felling plan and in my next article I will discuss establishing and using an escape route. The first step in any work plan and especially a felling plan is evaluating site hazards, tree risk indicators and tree placement considerations such as tree height and felling site location and placement. When evaluating a site and tree, I like to look at it from two viewpoints – one from a distance back and another up close. This two-stepped process I like to call my outer perimeter and inner perimeter surveys. The word ‘perimeter’ is key in that it indicates a circular or all encompassing look. Perform the outer perimeter survey from a distant back, preferably about the distance back as the height of the tree. View the site and tree from all sides by simply walking around the tree. During the outer perimeter survey, some site considerations you are looking for are obstacles or hazards such as power lines, other trees, buildings, fences etc. Tree considerations include the size of the tree, dead limbs or tops, decay and prominent lean. It is always best to choose to fell your tree with the natural lean so gravity can work for you. I will expand on lean assessment in the next article of this series. During the outer perimeter survey, site considerations you are looking for are obstacles or hazards such as power lines, other trees, buildings and fences. Tree considerations include the size of the tree, dead limbs or tops, decay and prominent lean. One final step I recommend performing as part of the outer perimeter survey is to determine the trees height as this often dictates if a tree can fit in the desired drop zone. A simple field method for determining the height of a tree can be done using a straight stick roughly the length of your leg. 1. Cradle the stick in your hand and hold it up to your eye, (be sure you have safety glasses on) by aiming down along the stick line it up with the base of the tree. 2. Next, hold the stick upright so the stick and your arm form a 90-degree angle. 3. Sight along the top of the stick and walk forward or backward until the top of the stick is in line with the top of the tree and the bottom of the stick where you are holding it is lining up with base of the tree. When this lines up, the spot where you are standing is very close to the height of the tree. Estimating a Tree's Height. The worker on the left is sighting along the stick to the bottom of the tree while the worker on the right is lining up the top of the tree with the top of the stick. Though simple, the method is quite accurate. The more you practice this technique, the more accurate you will become. This technique is difficult to explain in words, but is quickly learned with some hands on training. By determining the height of a tree, it becomes easier to decide where to fell the tree and ensure it is free and clear of contacting any obstacles during the felling process. The inner perimeter survey is done up close and focuses specifically on the tree, the placement of your notch and establishing your escape route. Once again, make a complete circle around the base of your tree in close proximity to the tree, and look for additional indication of wood decay and cavities. Mushrooms or conks can be indications of internal wood decay and should be seriously considered as decayed wood affects the performance of your hinge. Additionally, the desired direction of fall may change due to the presence of a cavity or wound where your hinge wood needs to be. Your inner perimeter survey also involves clearing brush, debris or anything that could impede your cutting of the notch, back-cut and escape route. The inner perimeter survey should include watching for root decay & structural damages. An inner perimeter survey also involves clearing brush, debris or anything that could impede your cutting of the notch, back-cut and escape route. This survey process is the beginning of your plan and is very important. It is step one of a five step planning process for felling trees and integrates into all of the other steps in this plan. I will be referring back to the outer and inner perimeter surveys as I continue this series. Remember accidents are unplanned events and an excellent way to avoid an accident is to plan your work and work your plan. We use a planning process and explain it in series of steps to help us remember and follow a system. When felling a tree these steps are blended and integrated in our mind as we formulate our felling plan. 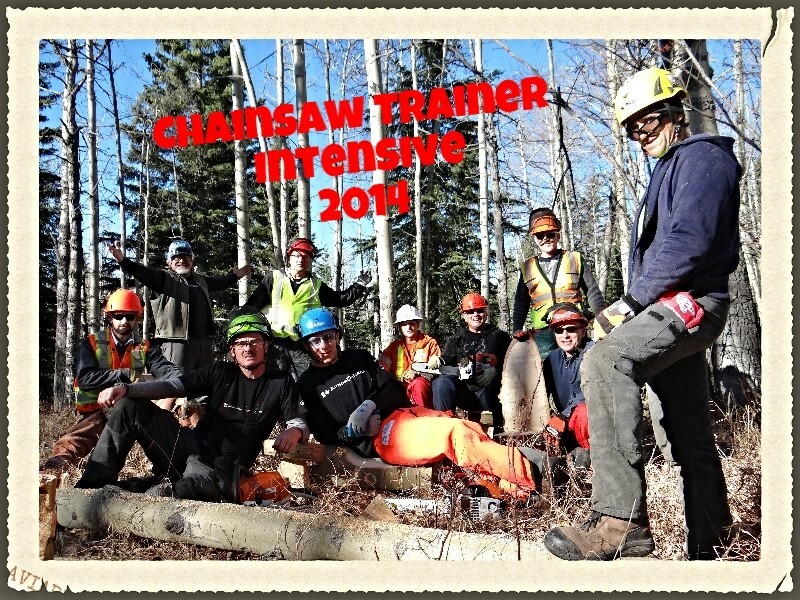 Thank-you for taking time to read this article and sharing some of your valuable time with me by being willing to think and consider adding some tools or techniques to your tree felling toolbox.